Amber Hester was named chief executive officer of Encompass Health Rehabilitation Hospital of Gulfport, formerly HealthSouth, in March 2017. Amber Hester was named chief executive officer of Encompass Health Rehabilitation Hospital of Gulfport, formerly HealthSouth in March 2017. Prior to joining Encompass Health in this role, Hester served as the chief executive officer of two long term acute care hospitals with Kindred Healthcare in the Boston market. She also has extensive experience as an accountant and serving as a controller and chief financial officer in the post-acute care setting. Hester worked for Encompass Health from 2005 - 2012 in various accounting and leadership roles out of the home office in Birmingham, Ala. She attended Auburn University and studied marketing. Hester also achieved a bachelor’s degree in accounting and a master’s degree in business administration with an accounting concentration from the University of Phoenix. Dr. Voulters is a neurologist practicing at Memorial Hospital in Gulfport and is the first internationally trained president of MSMA. Dr. Voulters is a neurologist practicing at Memorial Hospital in Gulfport. Dr. Voulters grew up in the United Kingdom attending medical school at the University of London and later completing his MBA at George Mason University. His training included serving as house physician and later house surgeon at the Royal Free Hospital in London and as chief resident in neurology at the University of Western Ontario in Canada. He completed his fellowship in movement disorders at the Neurological Institute, College of Physicians and Surgeons at Columbia University. He is the first internationally trained president of MSMA. Ginny comes to Encompass Health Gulfport with extensive experience and professional successes. Ginny comes to Encompass Health Rehabilitation Hospital of Gulfport , formerly Healthsouth, with extensive experience and professional successes. She has been the chief nursing officer (CNO) at Louisiana Heart Hospital and Medical Center along with Bothwell Regional Health Center in Missouri. Among her professional achievements, she worked closely with physicians and staff to improve outcomes for patients diagnosed with sepsis, which is a life threatening condition in which the body is fighting a severe infection. As CNO, Ginny is passionate about assuring our team of caregivers deliver kind, compassionate care to our patients while using healthcare best practices and technology. Dr. Johns is the program medical director for Encompass Health Gulfport. Dr. Johns is the program medical director for Encompass Health Gulfport, formerly HealthSouth. He received his medical degree from the University of Mississippi School of Medicine and completed his residency at Riverside Regional Medical Center. His specialty is in family medicine. Jacquie brings more than 20 years of rehabilitation experience to Encompass Health. Jacquie Lipski earned her Bachelor of Science degree at Dalhousie University prior to graduating with honors from the University of Western Ontario with her Bachelor of Applied Health Sciences degree in occupational therapy. Jacquie brings more than 20 years of rehabilitation experience to our Encompass Health Gulfport, formerly HealthSouth, team. She lives in Long Beach with her husband and two daughters. Outside of work, she greatly enjoys spending time with family and friends, traveling and volunteering for school and community organizations. Jennifer has more than 20 years of social work experience and with the last 14 years working in case management in a hospital setting. Jennifer has more than 20 years of social work experience and with the last 14 years working in case management in a hospital setting. She earned her master’s degree from University of Southern Mississippi in 2009 in social work. In her free time, she enjoys spending time with family, sewing/crafts, and doing a wide variety of activities. For the past 11 years, Muriel’s focus has been in healthcare finance and accounting. For the past 11 years, Muriel’s focus has been in healthcare finance and accounting. She has experience working in physician services, acute-care and revenue cycle. Most recently, she served as division controller for HCA/Parallon Business Solutions where she was responsible for the revenue cycle for 14 acute-care locations throughout San Antonio and Austin, Texas. Her favorite part of healthcare finance is primary focus on the patients and those that care for them. Muriel earned her bachelor’s degree in accounting with double major in finance from McNeese State University in Lake Charles, La. Kristy joins Encompass Health with 18 years of experience in healthcare sales and marketing. Kristy joins Encompass Health Gulfport, formerly HealthSouth, with 18 years of experience in healthcare sales and marketing. Before coming to Encompass Health, she worked with Singing River Health System in physician relations and business development. For more than six years, she worked strategically on service line growth and building referring relationships on the Mississippi Gulf Coast. Prior to this, she worked as a senior pharmaceutical sales representative for Merck & Co. Kristy received her degree in communications/public relations from the University of Southern Mississippi in Hattiesburg. When not working, she enjoys the outdoors, spending time with family and friends, travel, exercise and painting. Linda Stovall brings more than 30 years of experience in the field of rehabilitation. Linda Stovall was named director of quality and risk of Encompass Health Rehabilitation Hospital of Gulfport, formerly HealthSouth, in March 2017. Linda has a Bachelor of Science degree in occupational therapy and brings more than 30 years of experience in the field of rehabilitation. Prior to joining to the Encompass Health in this role, Linda served as the program manager for the Inpatient Rehabilitation Unit of Memorial Hospital at Gulfport. 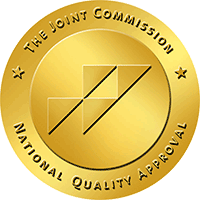 In her role as program manager she facilitated Joint Commission and CARF (Commission on Accreditation of Rehabilitation Facilities) Accreditations, compliance with federal/state guidelines, and managed the quality and risk reporting process with an emphasis on safety and positive patient focused outcomes. She lives in Long Beach, Miss. with her husband and enjoys time with friends and family, community volunteering, and traveling. Kaitlin has more than 17 years of experience in the hospital pharmacy setting including inpatient rehabilitation. Kaitlin Truong is the director of pharmacy for Encompass Health Rehabilitation Hospital of Gulfport, formerly HealthSouth. Kaitlin has more than 17 years of experience in the hospital pharmacy setting including inpatient rehabilitation. She comes to Encompass Health from Singing River Health System where she served as an oncology pharmacist in charge and clinical/staff pharmacist. Her professional interests and expertise include the areas of infectious disease and anticoagulation. Kaitlin graduated from the University of Mississippi, where she earned her doctorate of pharmacy and Bachelor of Science in pharmaceutical sciences. Kaitlin Truong is active in many community and professional organizations including, The Mississippi Society of Health-System Pharmacists (MSHP), National Diabetes & Obesity Research Institute at Tradition, Mississippi Pharmacist Association, Mississippi Independent Pharmacy Association, The Biloxi Bay Chamber of Commerce, United Way of South Mississippi and MS Gulf Coast Community Foundation.